I look forward to bringing out our advent calendar every year, although we didn't get ours out until today, there is still time to create your own if you are up for it. Here are some fresh DIY ideas that I recently saw that have my wheels turning for next year. They are both incredibly simple and lovely! The first one is my sister-in-law who made a Tree Advent Calendar out of paint chips, and the second one is an Advent box calendar by Sally from Shim+ Sons. Aren't they both genius ideas? I love Sally's idea of having a surprise along with a family activity in each box everyday! Impressive. See previous Advent calendars I've posted here. Fun! I love Advent calendars. paint chips? that is BRILLIANT. i love the cute, little trees. amazing it can be made so easily. and what a way to build in family bonding for celebrating the month. awesome. 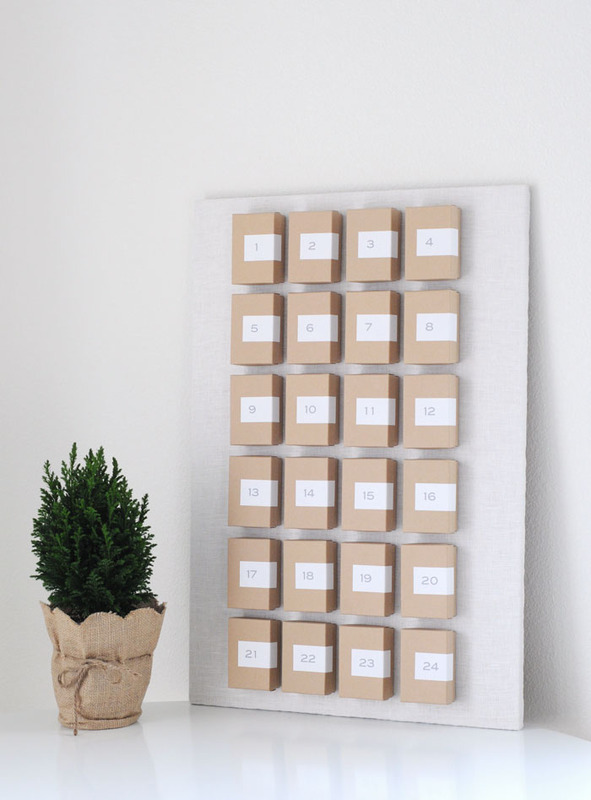 i am obsessed with the simplicity of these advent calendars. so so sweet. thanks for sharing! I love the simplicity of the first advent calendar with the small fir-trees. That is very cute ! here in italy they sell advent calendars everywhere and i have a small collection now :) adorable! Paint chip advent calendar! It looks so great! Maybe next year I'll be all about the simplicity but for my first homemade effort I wanted to impress! these are brilliant brilliant ideas! So simple, yet so pretty! Wow!